If you're a statistician, you could be forgiven if you chalk this one up as another nil points! Well we've hardly covered ourselves in glory in the last one hudred and six years and 67 games. 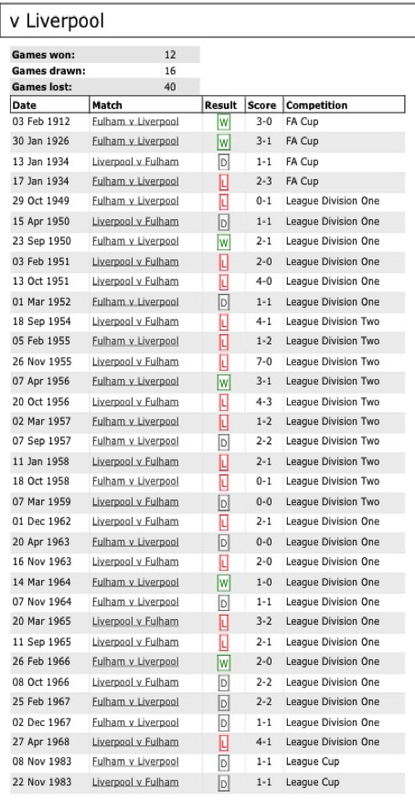 We've beaten them less than a fifth of the games we've played and they've won three times more than we have. Have I written this one off, of course not, we beat them away in 2012! 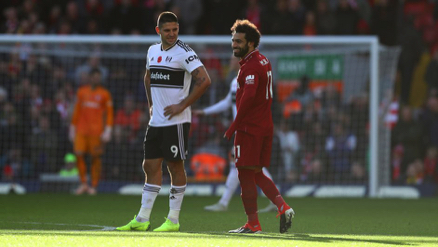 Fulham dominated the first 30 seconds or so, sadly from that point on it was Liverpool vrtually all the remainder of the first half. Don't get me wrong, despite the usual errors, the Whites did look to attack, some might add that that's our problem, maybe we should start with defensive basics first, hard to argue with that at times. 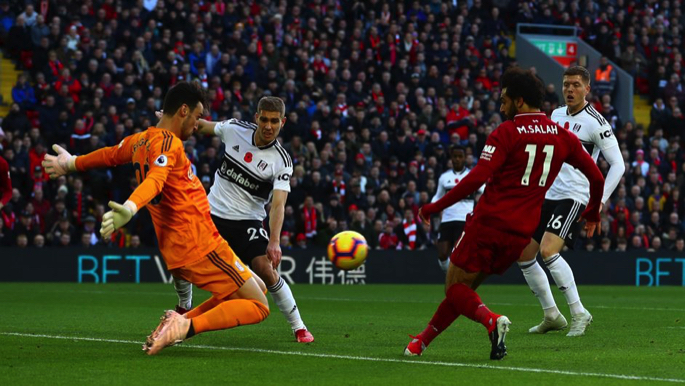 Rico in goal was having a good half and made some superb saves to keep us in the hunt, which is more than could be said for the defence as a whole although between them, Liverpool were frustrated each time their mobile and skilful attack penetrated us. All said and done a marked improvement despite a few misdemeanours, full marks to the training ground work. It had been a strangely muted Anfield thatsaw this match underaway, perhaps the awful midday Sunday kick-off (just a thought, maybe a few hours in the pub is what makes football grounds so noisy?) or that it was Rembrance Sunday and the match was due to start just one hour after the evocative 11:00, 11/11 and that this was the Centenary of the Official Armstice? A sombre occasion surely. I have to confess, it was a bit of a shock to hear Fulham fans being heard at this famous old ground: "Shall we sing a song for you?" 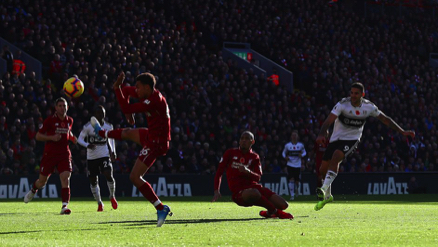 made me gulp, "Anfield is a Library" sang the astonished White contingent, blimey, will wonders never cease I opined as we managed to keep out yet another attack. Then, what? Mitro scored a goal, following some decent approach work, this surely will cue "We're winning away, we're winning away, how s•i*e must you be, we're winning away". Sadly not, the Ref had demons whispering in his ear and consequently he disallowed it, Liverpool took a swift one and immediately scored, normal service resumed and all that! 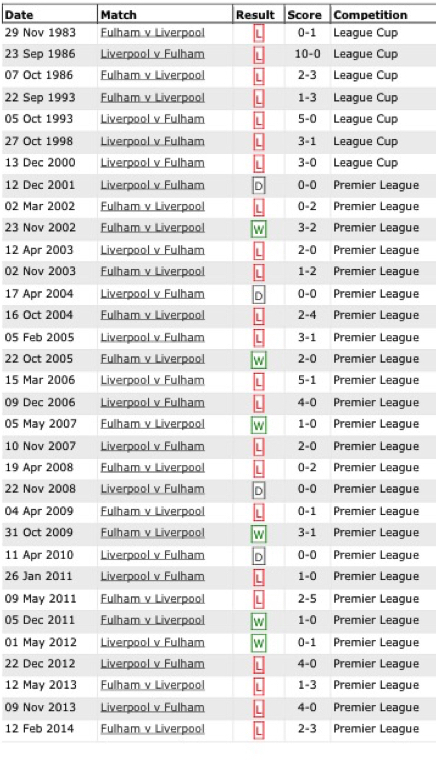 Somebody once declared that "hindsight is the mainstay of alternative history", hang on, that was me as I was strugglinfg for a suitable cliché, in our case, not only was our effort proven to not be offside but to further compound the angst, Liverpool's subsequent free-kick which set in motion their first goal, was taken with a moving ball so should have been retaken. Would this have changed things, well in the first wrongdoing, yes obviously, we'd have been in front with only a few minutes to the conclusion of the first half! 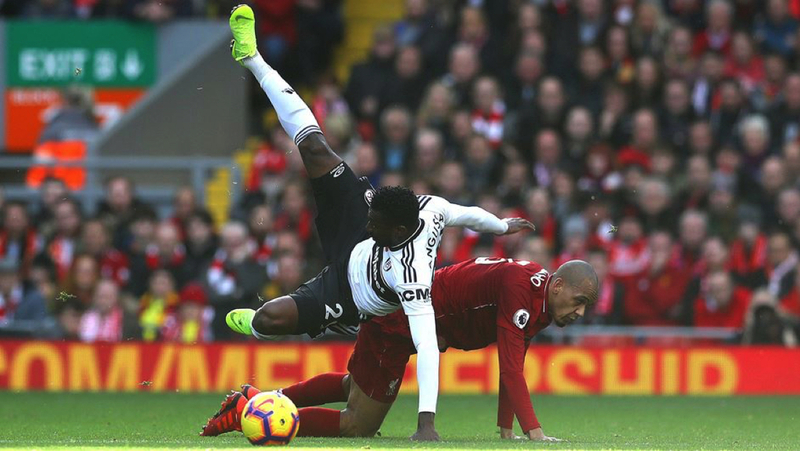 As far as the second half is concerned, the only thing to say is that we were back to awful, Liverpool got their second and that was it as a competition. In summary, a reasonable improvement for the first 45 but we need to keep working on that. Let's face it, a gap is now opening up, we are already a win behind 16th to 18th and we have't scored a single point since the setback at Brighton, if we don't win against Southampton it's going to be such an uncomfortable passage into the crucial Christmas fixtures. Considering some of our upcoming fixtures, we need to have the illuminati smiling on us PDQ! 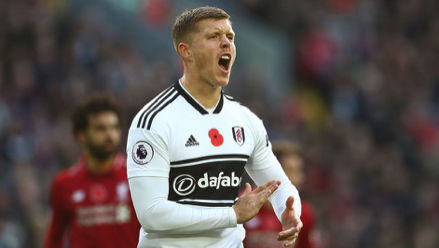 Before I leave everybody feeling positively suicidal I have to add that despite my doubts about Chambers and Mawson following earlier performances, they both showed why we were keen on them, maybe it is, after all, a soimple case of stability in the back three or four. The jury is still out on other newies, Le Marchand, Seri and Anguissa amongst these. Having had Tim Ream out and obviously out of sorts when he has played and what with the lack of McDonald we are virtally minus our backbone. By anybody's assessment these weaknesses would affect even the most stable of teams, in one with so many revisions the problems seem overwhelming. 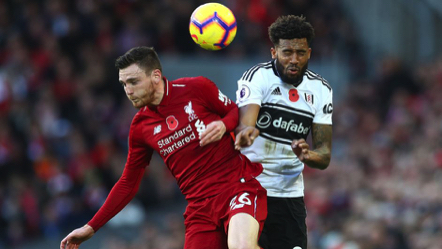 Christie has had a bad press recently and I've voiced mixed feelings but saying that, I have been trumping him as the replacement for Fredericks, he's had a torrid introduction to the Premier League but he wasn't the worst player on show and overall had an ok game. I reckon he would have been a stalwart had he been in last year's line-up in place of Fredericks, the problem has been exaggerated by being in with the new boys so he's not had to time to grow into the right back position with he benefit of established team members around him given the constant changes. I'm hopng that this applies to all of the close season newcomers and that they can establish themselves before it's too late. The biggest problem is that time is not something that is respectully taken note of in the cut throat world of professional football. Given the shuffling back there, it's little wonder things are iffy. Factor in Cairney's absence and oh so obvious injury worries and Sessegnon playing in defence, things are not so sunny in the near future.